What is the slope of a line? The slope of a line is its angle, or steepness. It can be positive, if the line slopes upwards as the we look from left-to-right, or it can be negative, if the line slopes downhill from left to right. A horizontal line is perfectly flat. It has no "steepness" and neither goes up nor down. 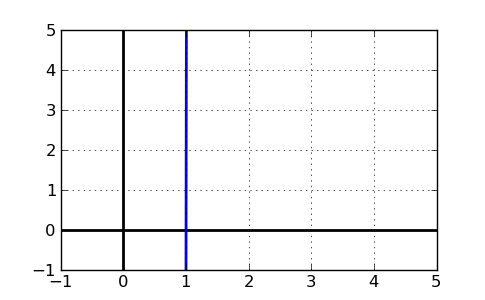 Mathematically, we can express that by saying that a horizontal line has a slope of 0. The graph below has a slope of 0, and you can see that it has no steepness, or slope (it's flat!). Plug in to the formula above, or simply determine the change in y and divide by the change in x. As you can see, the line goes up 2 points for every 1 points it goes right, meaning that the change in y is 2 when the change in x is 1. 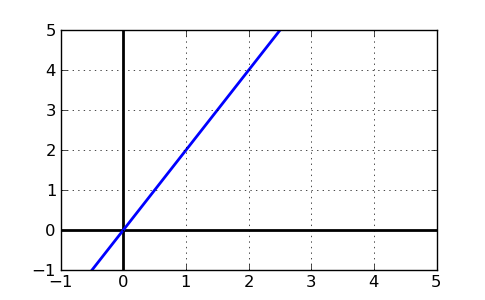 Slope = 2. For more information, please view our lesson on graphing lines. 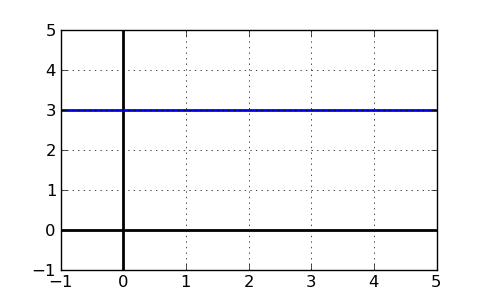 The slope of a line is the change in y divided by the change in x between two points. It's also the amount a line "goes up" for every one point it goes right. Some call it "rise over run". Either way, given two points, you can always find the slope of the line with that quick formula.